Fargo, North Dakota, has been visited by a flock of dog-sized jackrabbits, and residents have been left scratching their heads regarding how to make them leave. Although there are many options available, the town would like to use the most humane removal techniques possible. In January, a similar occurrence manifested in Oregon, when feral rabbits invaded a town. However, the Fargo rabbits are massive in size and tend to park themselves wherever they please, without much concern for the inhabitants around them. When the giant jackrabbits first arrived, many residents thought they were a cute addition to their neighborhood, shared Headline News. However, the small dog sized jackrabbits soon began leaving behind a path of destruction by devouring shrubs and grasses and leaving droppings everywhere. Some individuals have joked about bringing in Elmer Fudd to take care of the nuisances, but are become concerned that the jackrabbit problem could get out of control before a real solution comes along. Kayla Straabe, a resident of the Fargo neighborhood, shared that there are between 40 to 50 in her yard everyday. Police officers have been called on occasion to rid yards of rabbits, other residents have called animal control to come out and detain the pesky jackrabbits. However, both have shared that there is nothing they can do because the jackrabbits are wild hares, therefore they cannot be touched by the authorities. The giant jackrabbits began to appear approximately three months ago, and they quickly multiplied to massive numbers. There is fear that they will grow out of control in just a short time. Female jackrabbits have up to four litters per year, each with up to nine newborns per litter. 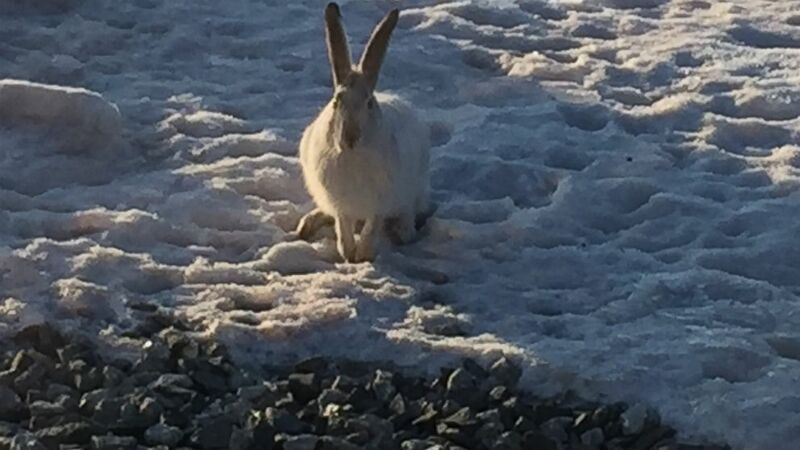 Straabe is anxious to have the jackrabbits removed, but stated that some residents have suggested poisoning the invaders to control their numbers. She would prefer a more humane means of getting rid of them. Police Lt. Joel Vettel agrees with Straabe and shared his concern with ABC News.